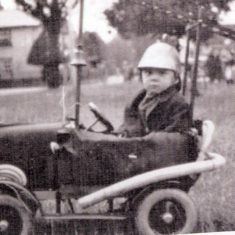 Don Hills in his pedal car made to look like a fire engine with ladder and hose in the 1930 carnival. 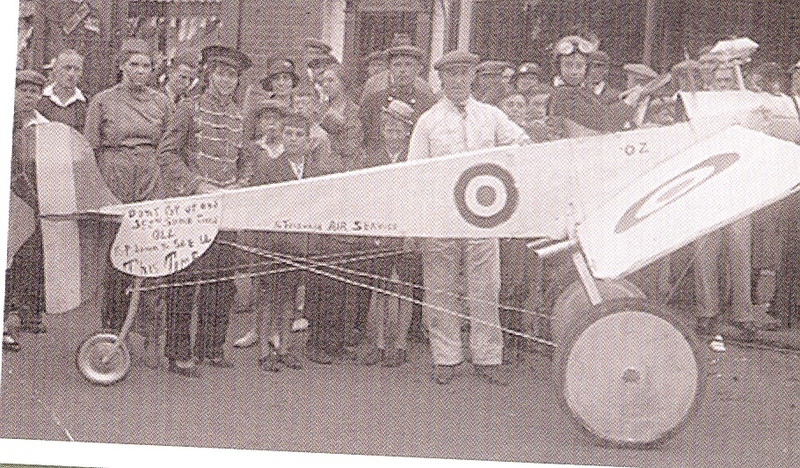 A monoplane built by Mr Sapsed in the garage of his Haycroft Road home.This picture was taken in 1934. The annual carnival which is to be revived in 2011 is not a New Town era event but the successor of a carnival that dates back at least to the turn of the last century. 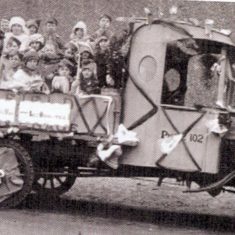 There are records of annual “Hospital Saturday” processions with children in fancy dress being driven on horse drawn floats dating from 1900. In the 1930’s fancy dress parades took place in July to raise money for the North Herts and South Beds Hospital in Bedford Road Hitchin. 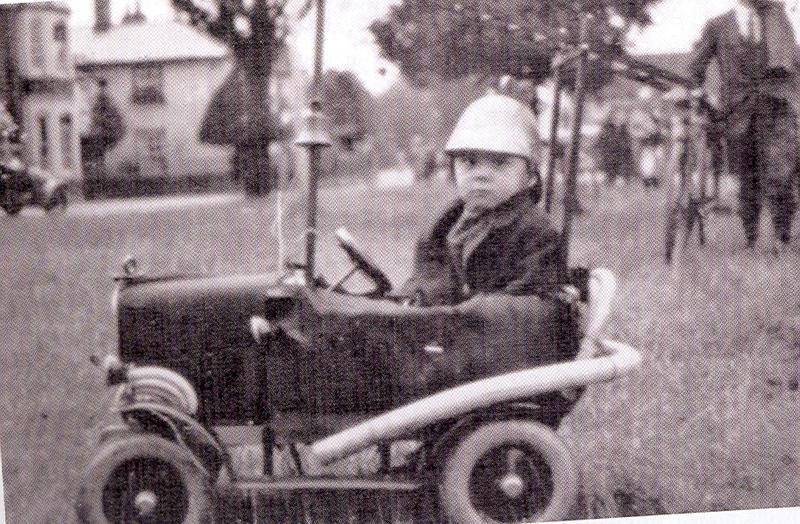 Don took part in them most years sometimes in costumes made by his mum Evelyn eldest daughter of Bob Field a local builder and undertakerof Letchmore Road. An excellent needle woman she and Don’s father James kept a grocers shop in Haycroft Road for forty years. The outbreak of the Second War in 1939 brought a temporary halt to the celebrations. Carnival and fun Fairs were banned for the next six years for fear that enemy aircraft might bomb or machine-gun those taking part. Attempts were made to resurrect the carnival after the war but it was not until 1963 that its arrival was assured thanks to Stevenage Rotary Club. 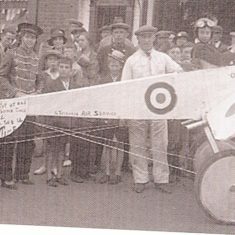 The previous year Hitchin Local Yokels Association had been formed with the aim of reviving the Hitchin Hospital Carnival.Among its members were two daughters of Mr and Mrs Fred Pinkstone of Great Wymondley. Fred who ran the Stevenage Knitting Company in Sish Lane was a founder member of the Stevenage Rotary club. His suggestion about reviving the Stevenage Carnival was received with enthusiasm. 1963 was the year of the Freedom from Hunger Campaign which was raising funds to provide food for the starving millions around the world after the devastation brought about by the war. Fred Pinkstone, quantity surveyor John Nicoll of Rectory Lane,accountant and Rotary president Ralph Wegstaff and local dentist Rodney Hawkins were instrumental in the successful relaunch. 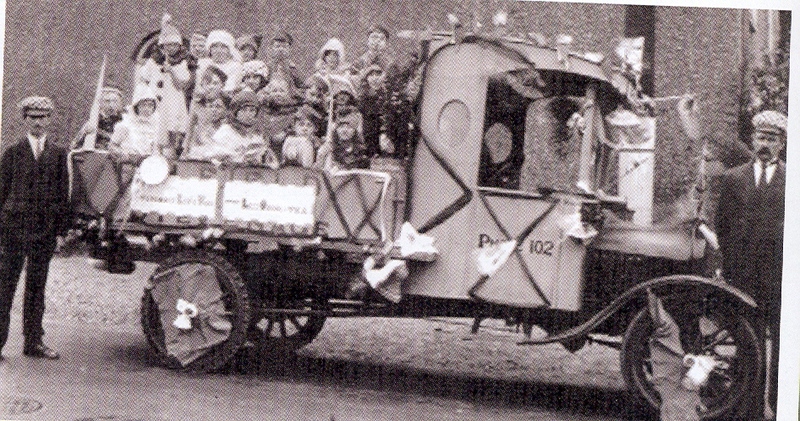 The carnivals in succeeding years were held in aid of other deserving local charities. Health and Safety legislation, fees for road closures and high insurance costs put an end to many a towns local carnival, but with the support of Stevenage Borough Council the Stevenage one kept going until 2003. After an appeal in 2009 by local rotarian Ian Begg and with Mrs Carol Brassfield as the new carnival organiser the Stevenage Carnival was relaunched in the summer of 2011. This page was added on 05/12/2011.